Hotel is located on the Island of Ischia, which is just one hour from Naples. Hotel features a thermal depart, indoor and outdoor pool, sauna and tennis courts. A modern banquet hall that seats 160 is available for conferences. Wireless and dial-up connections are available to cater to the guest's online needs. There is a poolside bar and lobby bar. 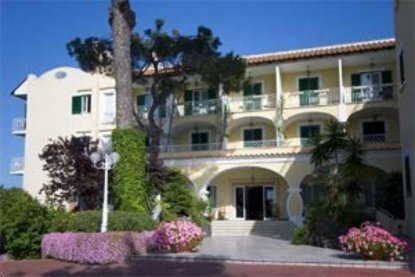 Property is close to the sea and the shopping and tourist center of Ischia. There is a private park nearby that offers views of a subtropical garden featuring thermal water swimming pools. The hotel offers large sun terraces, tennis courts, private parking and shuttle service to/from the beach and harbour located five minutes away. 15.00usd per night. Some rooms.